Moving into a new home is an extremely stressful process, and it can be just as hard for your pets. 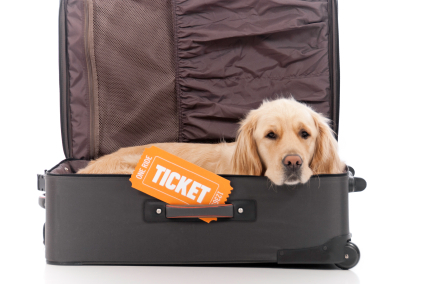 The experience for you and your furry friends will vary depending on the size and species of your pets, the distance you will be traveling, your mode of transportation, and many other factors. Here are a few tips that you can use to make the move more comfortable for you AND your animals. First, if you have a dog or a cat, make sure that their tags are up-to-date with your new address and current contact information. It’s also a good idea to get a microchip inserted just in case (if you’ve already had one inserted-remember to have the information updated by your vet). While you’re at the vet, get your pets up-to-date on their vaccinations and consider getting them a sedative for the trip. Sedatives can be a good idea if you have a long trip or if they can be aggressive when stressed. Pet sedatives are usually not strong enough to knock the animal out, but will just take some of the edge off of the trip. Another thing to do after you make your appointment is to make a list of questions for your vet regarding the trip, your new town, and your pet’s previous medical records. Also see if he or she can suggest a new veterinary clinic and emergency hospital in the town you’re moving to. Research the documents you will need for your flight. If you have exotic pets you may also need a permit from the state or community you are moving to. When you start moving into the new house, keep them in the quietest place possible or opt to have them stay in a kennel or with a friend. When they come home for the first time, have all of their supplies ready and waiting and the home prepped for their arrival (there are no small spaces for them to get stuck, the fence is secure, etc.) Help them get use to their new home and give them time to see it as a positive place. The key to moving with pets is to be PREPARED. Know your route, your itinerary, where you will be staying, how much food you will need to bring, and what the pet policy is everywhere you will be staying. If you are still looking for a new home that will be perfect for every member of your family (the furry ones included!) don’t hesitate to call the Song Real Estate Team today! Thank you so much! I really appreciate you saying that. Happy Holidays!